Trench Former First Flush - ABT Inc.
ABT Inc’s First Flush® products are designed specifically for sites under 100 acres where specific pollutants – oils, greases, and other hydrocarbons – must be captured without impeding bypass flow particularly during the first fifteen minutes of a rainfall or “first flush” effect. 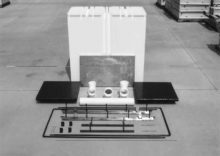 Space restricted sites: First Flush technology is perfect for sites that lack the necessary area for retention ponds and larger structures. 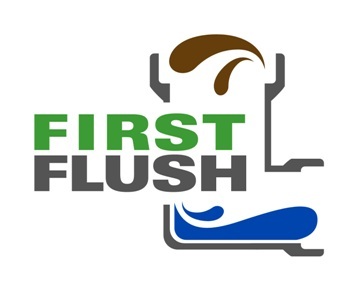 FirstFlush is the perfect solution when seeking a BMP that must handle sheet flow, control vectors, collect debris, treat bacteria, and capture hydrocarbons – all on the same site. 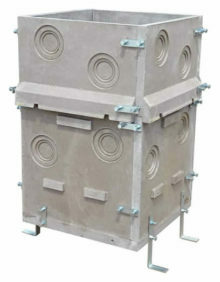 ABT First Flush systems utilize a variety of filtration media and fabrics. 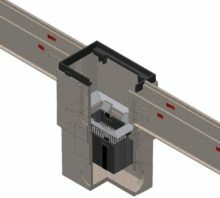 The FirstFlush 1640FF, our largest capacity design, uses ABT’s patented forming technology to create a highly durable concrete component. 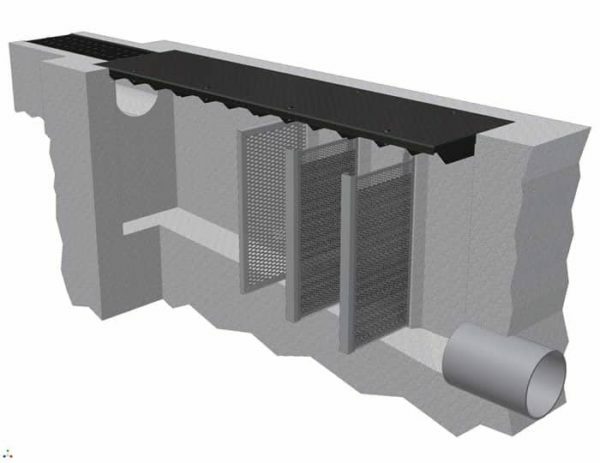 As effluent enters either through an inlet pipe or a trench drain, the first chamber captures solid debris. 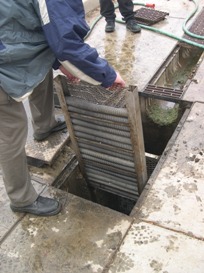 After passing through the sediment screen, effluent passes through two removable smart sponge filter panels before exiting. 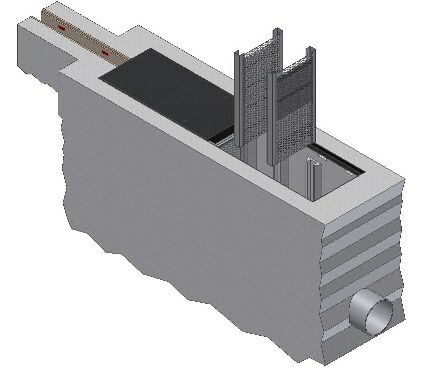 The pre-sloped bottom eliminates ponding, an excellent feature where vector control is an issue. The 1640FF is provided with solid covers.